Perhaps some more of my singing will brighten this dreary Wednesday in New York! Not only will you get to hear me flex the golden pipes, you’ll also be treated to an analysis of a very good situation. Let’s dive in. Get your math caps on! Mike should wager 13,800 to cover Alexander. 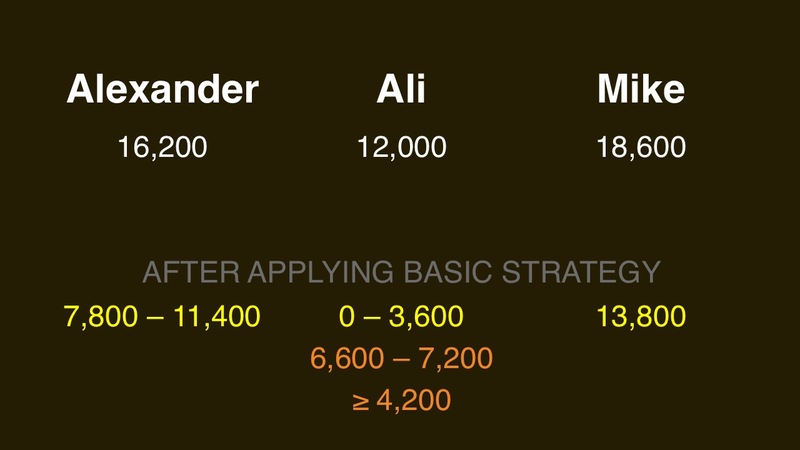 Alexander can wager up to 11,400 to stay above Mike if they’re both wrong, and Ali can wager up to 7,200. Alexander should wager 7,800 to cover Ali. Ali should wager at most 3,600. Ali should wager 4,200 to cover a zero wager by Alexander, and 6,600 to cover a zero wager by Mike. If Alexander wagers 11,400, his total will be 27,600. In response, Mike might wager 9,000. An incorrect wager with that wager would leave Mike with 9,600. 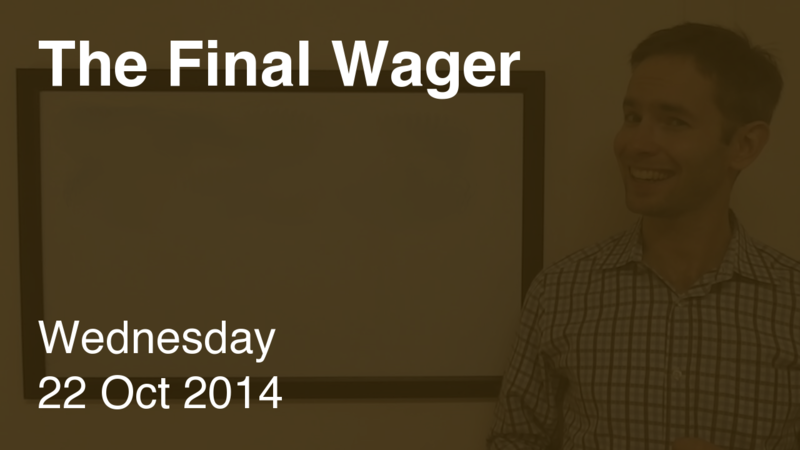 In response, Alexander might cap his wager at 6,600. Ali might risk no more than 2,400. 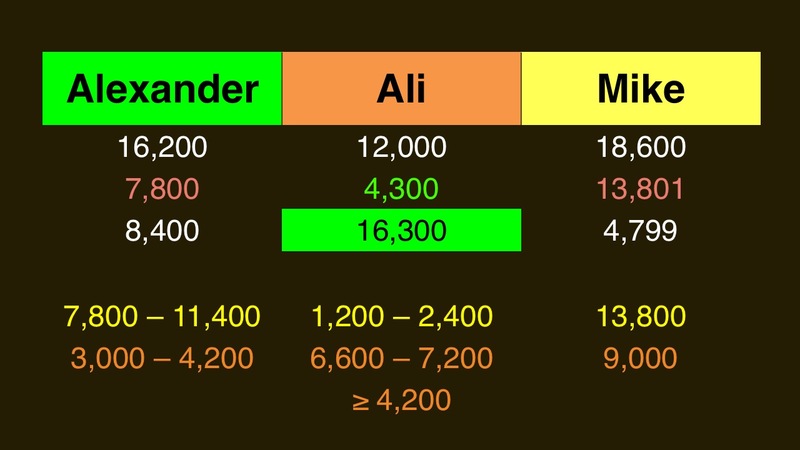 If Ali gets it right with her maximum 7,200 wager, she will have 19,200, so Alexander might consider wagering 3,000 to cover that possibility. In response, Ali could wager 1,200. If Alexander goes with that smaller range, he should wager no more than 4,200 to force Ali to wager something to beat him. All three players did well. Ali would have lost to Alexander had she missed, which is part of the risk she took by covering his zero wager. Nice game, though!